With the first deliveries expected in the first half of January 2018, Skoda has announced order books are now open for the Karoq. Priced from £20,875, the all-new SUV promises to set new standards for value, comfort and equipment in what is one of the busiest and most competitive sectors of the new car market. 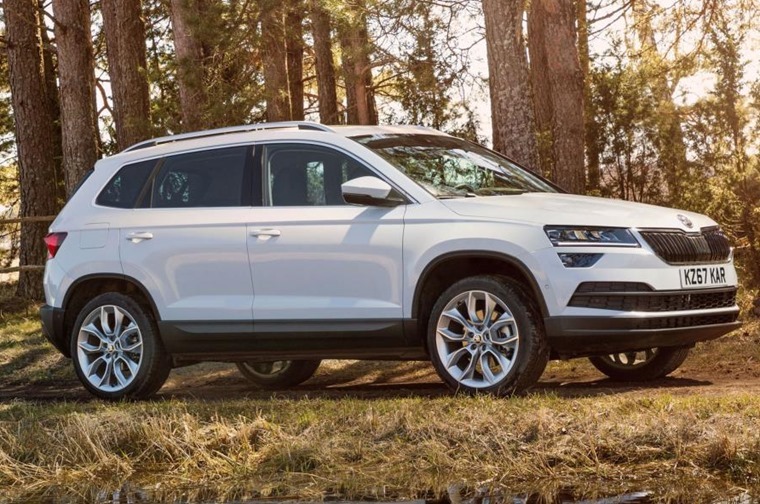 Based on Volkswagen’s MQB platform, it shares underpinnings with the Seat Ateca and Volkswagen Tiguan and will replace the Yeti as Skoda’s compact crossover vehicle. 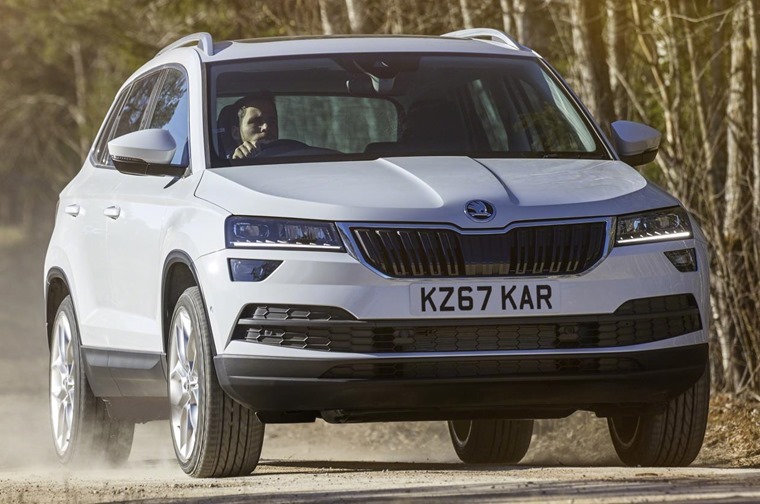 With the Kodiaq receiving rave reviews, Skoda has returned to Alaska for inspiration by for the name of its new model – derived from the language of Alaska’s indigenous people, the Karoq seeks to quickly and effectively advance Skoda’s SUV campaign. The compact SUV measures 4,382mm in the length, 1,841 wide and 1,605 high. 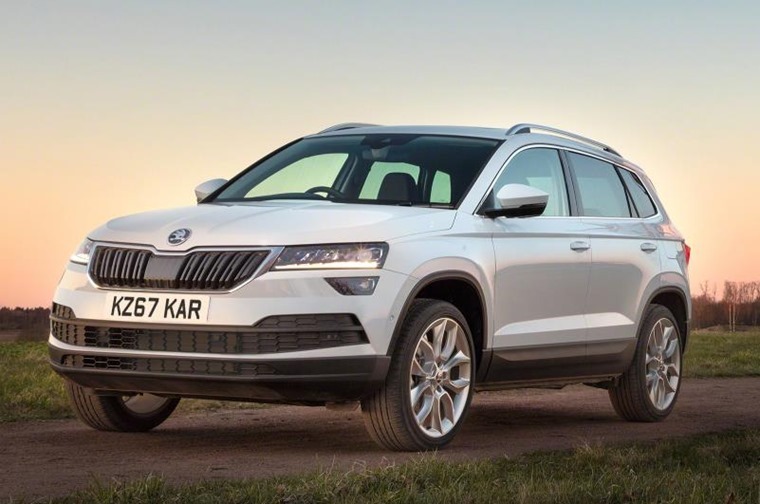 The long wheelbase of 2,638mm gives the Skoda Karoq a larger appearance than the Yeti as well as a comfortable stance on the road and a spacious interior. 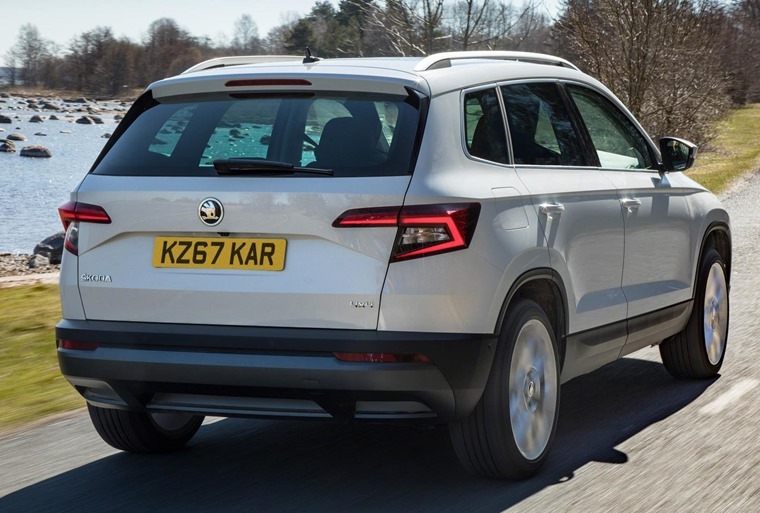 It’ll be available with three familiar trim levels – SE, SE L and Edition – with Skoda claiming each grade will offer exceptional levels of equipment. Priced from £23,165, entry-level SE models feature 17in alloys, LED rear lights, dual-zone climate control, a pedestrian monitor and a driver fatigue sensor. Choosing mid-range SE L adds larger alloy wheels, an 8in infotainment system with satnav, keyless entry and start, LED headlights, heated front seats, a rear-view camera, parking sensors and Alcantara upholstery. SE L is priced from £23,165. With a list price from £27,110, Edition trim features 19in alloy wheels, a panoramic sunroof and leather upholstery as standard. 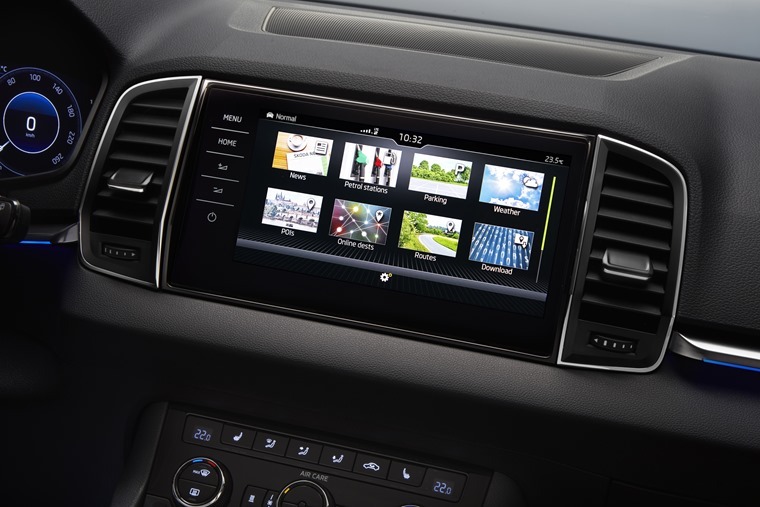 The infotainment screen is a larger 9.2in unit and includes gesture control, while additional safety features include Blind Spot protection, Rear Traffic alert and Traffic Sign recognition. Practicality-wise, the boot has a capacity of 521 litres with the rear seats in place, which increases to 1,630 litres with them folded down. That’s more space than the Nissan Qashqai can offer, and a whole one litre larger than its sister car, the Tiguan. There’s also an optional VarioFlex rear seat system, which allows you to either adjust or completely remove the rear row, allowing you to turn the Karoq into a minivan-esque vehicle with a capacity of 1,810 litres. The Karoq will be launched with a line-up of five engines, comprised of two petrols – a 1.0-litre three-cylinder unit with 114bhp and 175Nm, and a 1.5 four-cylinder producing 148bhp and 250Nm which has the special feature of cylinder deactivation to keep CO2 emissions at a minimum. Diesel engines start with a 1.6-litre motor, producing 114bhp and 250Nm of torque. There’s also a 2.0 with 148bhp and 340Nm meaning a 0-62mph time of 8.9 seconds. At the top of the range is a 2.0-litre diesel with 228bhp and 400Nm. 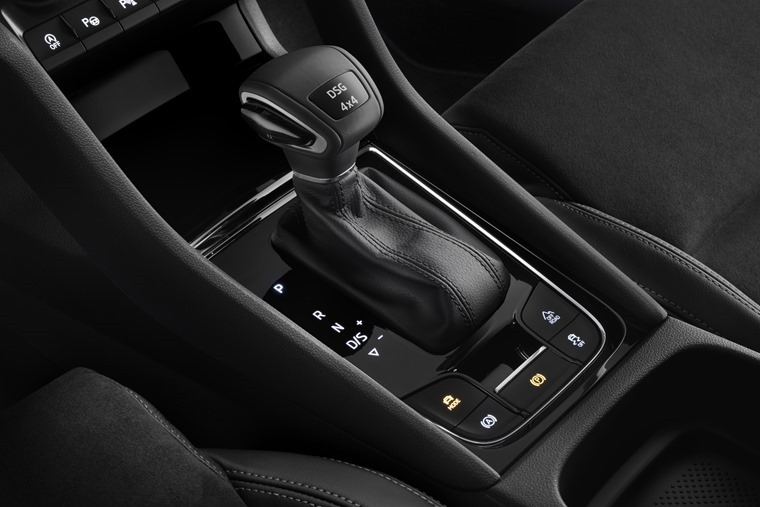 This is offered with four-wheel drive and a seven-speed dual-clutch automatic transmission as standard, whereas the other options all get a six-speed manual and front-drive as standard. The first UK customers set to receive their cars in mid January 2018 but if you can’t wait until then, here’s some deals on the larger Kodiaq that will cost you less than £250 per month.